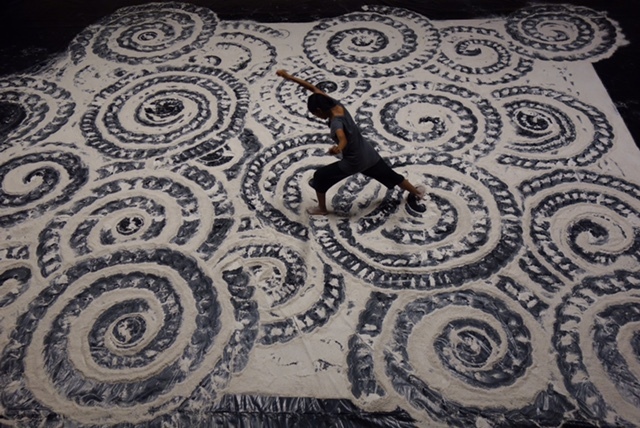 Here’s the news from Shantala’s side: remounts, collaborations, and anew creation! We’re happy: it’s springtime! Premiered in July 2012 at the Salzburg Festival, Irina Brook’s Peer Gynt was on tour in France from January to March in Nice, Paris, Narbonne, Mâcon, Pau, La Rochelle, Angoulême and Pontoise…a grand reunion of the wonderful troupe for this remount! Brook’s fiercely fresh vision of the piece is given a spiky freedom by the jumpily livewire songs provided by Iggy Pop and by the specially written poems by American dramatist Sam Shepard that take Ibsen’s original ideas and sentiments (themselves originally written as verse) and turn them into laconically rebellious lyrics (…) Brook, hugely talented daughter of the great Peter, stages the trials with an indelible vividness. Unforgettable. Shantala was invited to present two different programs between March 30th and April 6th for the inaugural season of the prestigious and brand new Louvre Abu Dhabi: To start with, Shantala and renowned Cellist Sonia Wieder-Atherton , performed their duet « BACH – Day 1 », directed by Stéphane Ricordel, on one of the beautiful open-air terraces of the museum, surrounded by water, thus merging with Jean Nouvel’s minimal and pristine architecture. A few days later, accompanied by her four musicians from South India, Shantala danced Swayambhu, a Kuchipudi recital centered around the figure of Shiva, the Lord of dance. The program was greeted by a standing ovation by the enthusiastic audience! Impro Sharana, concert for a dancer by Ferran Savall and Shantala Shivalingappa was back on stage for a remount in Porto! This program was premiered in 2014, commissioned by the prestigious Mercat de le Flors (Barcelona) and its director Francesc Casadeus to coincide with the release of Ferran Savall’s album IMPRO. 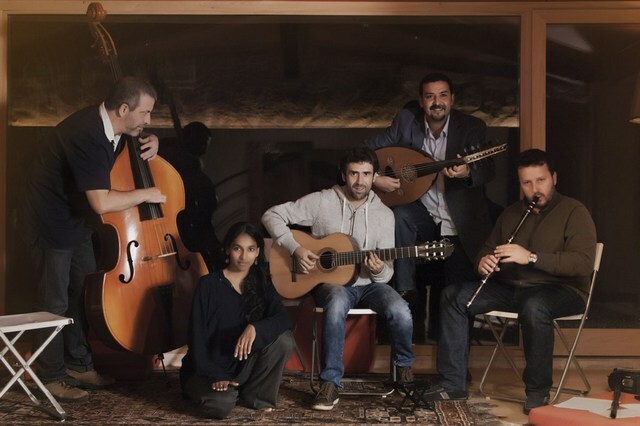 This « concert for a dancer », in which music and movement are constructed together, connects Ferran’s soulful music and Shantala’s dancing, accompanied by Driss El Maloumi (Oud), David Mayoral (Drums), Jordi Gaspar (Double-bass), Nedyalko Nedyalkov (Kaval). We had told you about the world premiere of Bhairava, a short-film by Marlène Millar and Philip Szporer, well since then it has won two awards! Bhairava evokes facets of Shiva, the Lord of Dance, as both the destroyer of evil and the guardian of time. He is fierce and drives terrible deeds, but he is also the Divine Protector and Supreme Guardian; his intention springs from pure compassion. In this work, carried by a strong and deeply evocative musical score and by the singular energy of the ancient site of Hampi, dancer and choreographer Shantala Shivalingappa embodies the presence and distinctive qualities of Bhairava. With her technical mastery and refined expressivity, she alternates between moments of precise symbolic gestures and more abstract body language surging from the powerful and omnipresent persona of Bhairava, creating a vivid incarnation of the deity. Shantala is a guest dancer in this piece by the legendary Tanztheater Wuppertal – Pina Bausch which will be at the Théâtre des Champs Elysées in Paris in July for nine evenings.